Advocacy and Communications Officer Peter Melrose is visiting the UK and Ireland as part of CREATE’s overseas exchange program to visit different advocacy organisations similar to CREATE. Peter will be sharing findings from his journey via regular updates on CREATE’s blog. While I was visiting with Who Cares? Scotland, I was lucky enough to go up North and visit their office in Inverness. They loved the CREATE t-shirts and Gus! I met with Tom Boyd (right in Picture 1) who had just got back from a camping trip with 12 young people who had a care experience. Tom and the team are very engaged with the community of young people in Inverness. As well as camping trips they also run a program called “Journeys North”. This is an arts based initiative where young people learn how to tell their stories through painting, sculpture, story-telling and theatre workshops, while getting to connect with other young people like them. 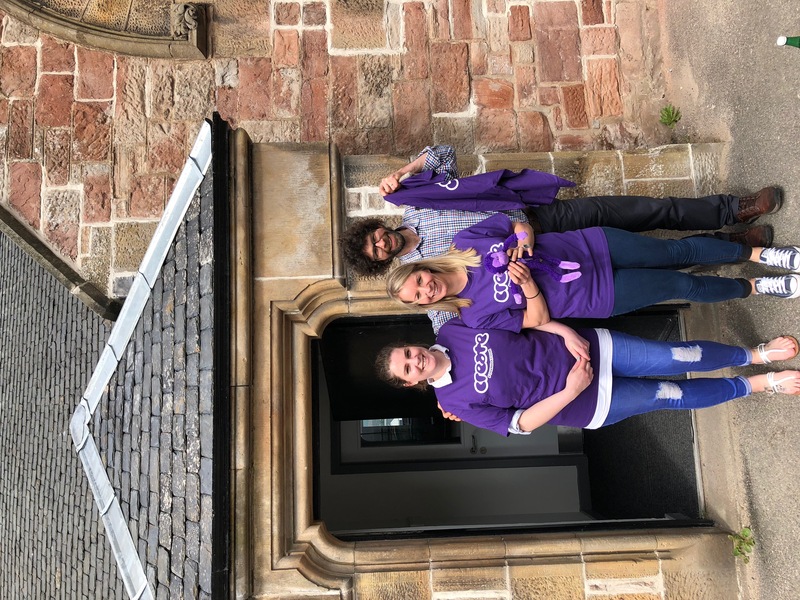 I also attended a meeting at the University of Highlands and Islands where there was a big discussion about how to support young people leaving care who want to attend university. 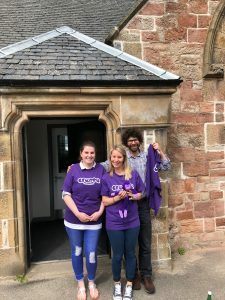 Scotland takes its Corporate Parenting legislation (where government services behave like a parent or carer and help young people access health services, work opportunities, etc.) very seriously. In Scotland, their Corporate Parenting legislation means universities provide specialised support, such as accommodation and help in accessing money for living costs, to care leavers so they can complete their degrees. At the meeting I was asked about the issues that young people leaving care face in Australia, and I had to say that because young people leave care at age 18 and don’t have enough support from the Government, they are less likely to attend university than their peers without a care experience. Australia has a lot to learn from Scotland! 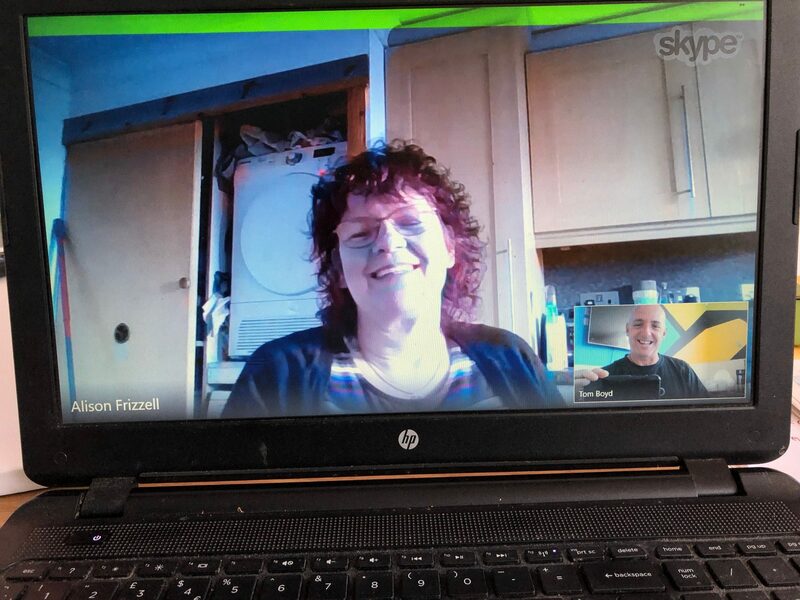 After the meeting I had a long Skype chat with Alison, an advocacy worker from Stornoway on the Isle of Lewis. This is a very remote area- you have to fly or catch a ferry to get there, and it is made up of smaller, isolated islands. Alison talked about how important it was to build relationships with people in the community to help her advocacy work. She gave me great advice on working in remote areas and they have issues with finding the resources to get to young people who live in regional areas, similar to issues we have in some parts of Australia. Want to read more updates from Peter’s trip? Click here to read more.